Goto80 is Anders Carlsson from Sweden. He was one of the first artists to bring chipmusic (music made with 8-bit sound chips from Comodore 64s, Game Boys and old computers) to a wider audience. He's one of the key players in the glitch/8-bit music world, and is very active in the demoscene - an international computer art subculture that specializes in producing demos: small, self-contained computer programs that produce audio-visual presentations. In 2007 Goto80 made one release every month and performed once a week. The following year he tried to release one song every day. Goto80 released his debut album Commodore Grooves in 2005, and was one of three nominees for all-time C64-composer at Commodore's official 25-year celebration. 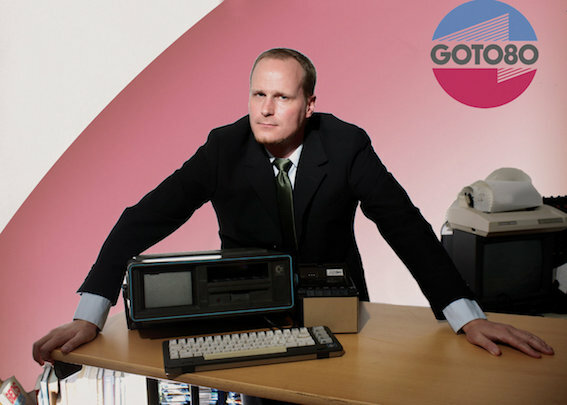 Goto80's other aliases include Extraboy, Johnny Location, Tomas Delin, GotoET, Susanne, Gordon Strombola, 4D Man and Crystal Master and he co-founded the band Superdöner to play a form of 8-bit punk rock. Supporting will be Wellington's one and only text-to-speech trio, Micro Soft Voices, and the one and only .. Strange Stains!